Living... in Harlan, his Kentucky hometown. His boss sent him back there after some unpleasantness in Miami. It’s a long story, but let’s just say Raylan sat down with a bad guy for lunch, guns were drawn, and someone got shot. Profession... Deputy U.S. Marshal, after some time as a Marine. He plays by his own rules, unafraid to shoot with intent to kill if he feels he’s justified. Unfortunately for him, his superiors don’t always agree with him, which is exactly what sends him back to Kentucky. Now he’s got a score to settle with his old buddy Boyd Crowder, now a criminal with ties to white supremacists. Interests… wearing his cowboy boots and hat, shooting his gun with expert accuracy, and downing a nice glass of whiskey. 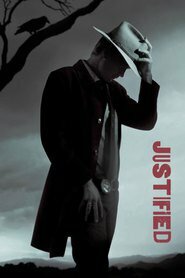 Raylan lives his life with the swagger of a 1800s lawman, a square peg in today’s modern society. Relationship Status... involved with his ex-wife Winona and his high school sweetheart Ava. Winona left him to escape the dangerous life he leads, fearing he one day wouldn’t return home. But now that he’s back home, things might be different. Ava, meanwhile, is happy to see him, but just so happens to be the sister of Boyd Crowder, Raylan’s number one criminal target. Challenge... following the rules in a profession where creativity and quick thinking are sometimes the only things that can save your life. Hunting down criminals is no simple task, but it’s made much harder when everyone in town – including the criminals – knows your secrets. Personality... calm under pressure. Raylan carries himself with a quiet confidence that demands respect. He’s extremely moral and fights for good over evil, though occasionally his moral compass differs from his co-workers. But they can’t help but follow his lead when his intuition and detective skills consistently sniff out the worst of the worst in Kentucky. Raylan Givens's popularity ranking on CharacTour is #2972 out of 5,000+ characters. See our top-ranked characters and read their profiles.